My aim when I take on a fine furniture or antique restoration project is to restore so that it looks like a well loved piece that has been looked after over the years. This approach looks at retaining the patina of the piece which helps keep the character and history of the furniture alive. I will often be asked to restore antique furniture which is in very poor condition. When I assess a piece, I look to see how it can be sympathetically repaired or restored. Although quality restoration can be costly, the end result will speak for itself and is often much cheaper than buying a quality piece of furniture. 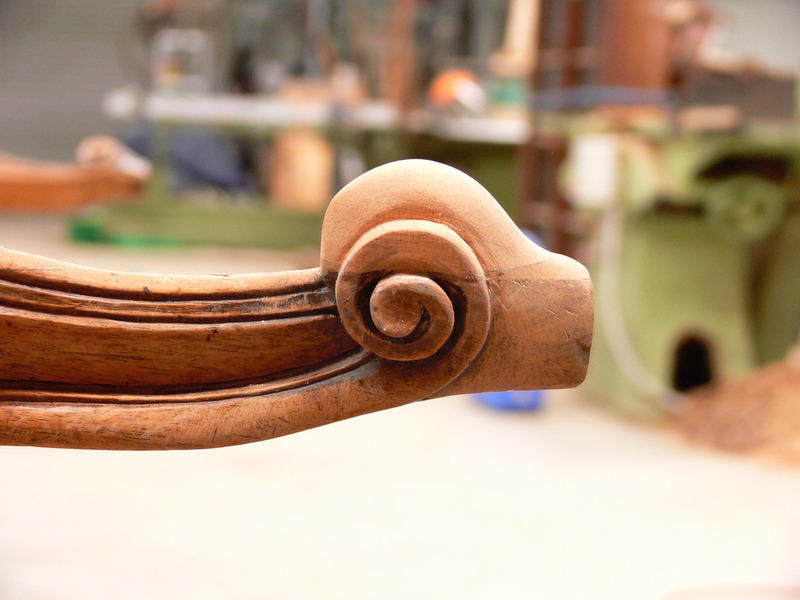 Quality antique restoration involves integrity, and the same goes for crafting reproduction furniture. When selecting wood for a repair or for reproduction furniture I will try to match the grain of the wood as closely as possible. Many restorers will use products such as car body filler in order to provide a repair in a piece. This is not an approach that I take. When repairing, I will replace wood for wood whenever possible and ensure that the furniture is structurally sound and repaired correctly. 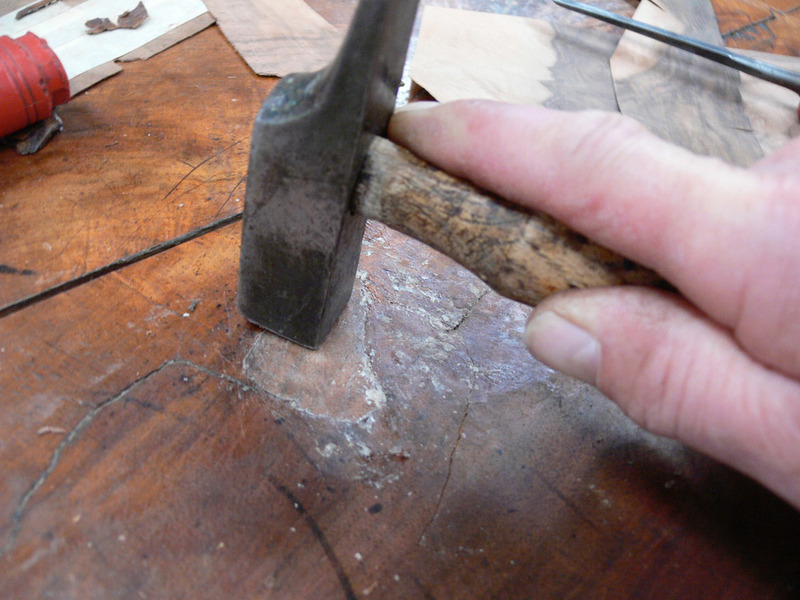 When selecting wood I will try to match the grain of the wood as close as possible for the repair. If asked to provide a refinish to a piece I first look to whether the original surface can be saved or whether a full restoration is required. Furniture modifications such as raising a table height requires a good understanding of both form and function and how to provide a solution which is in proportion and is sympathetic to the style and period of the piece. This Silver table gallery had the very fine carving broken. It was a very fine carving to do, about the size of a 50 cent coin. Georgian Chest of Drawers. 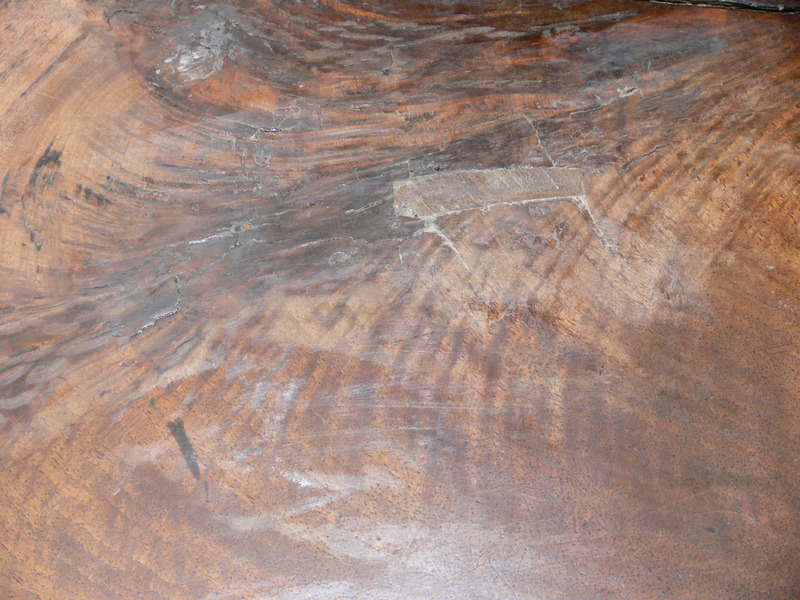 The top has missing and damaged veneer, it also has split down the middle. Walnut veneer was selected with best grain match and then it was cut and glued into place. The top was removed and rejoined. It was then refinished in wax to match the original finish.